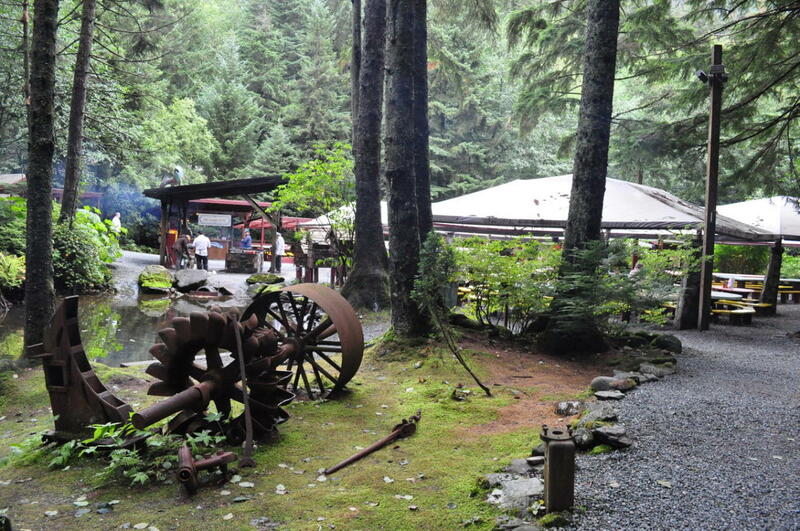 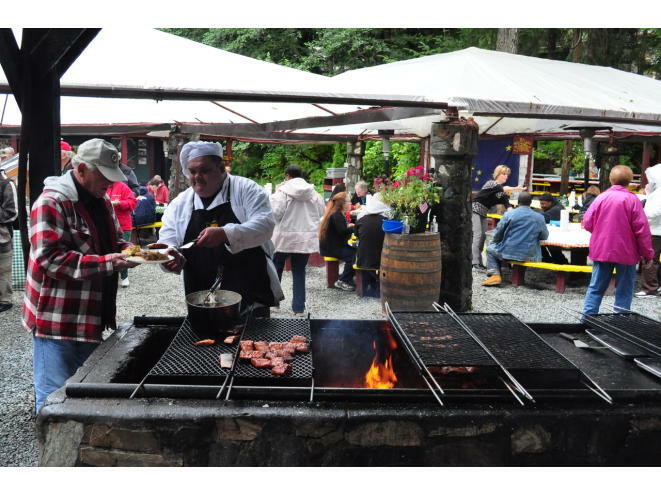 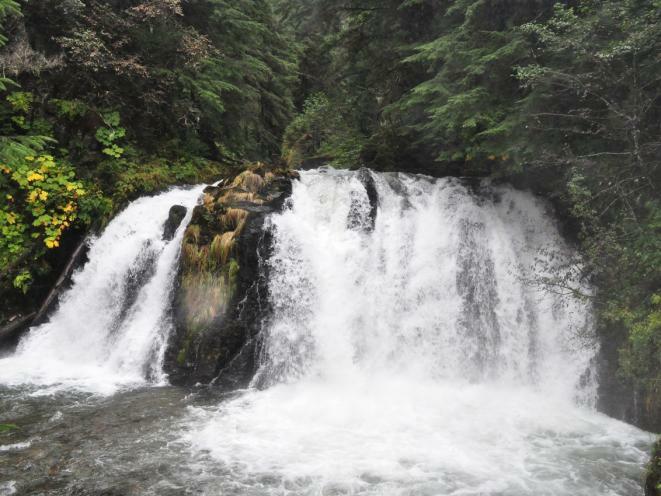 Conveniently located just minutes from both downtown Juneau and the Mendenhall Valley, The Gold Creek Salmon Bake is The Capital City's ideal location for company parties, weddings, receptions, fundraisers and any other large social event. 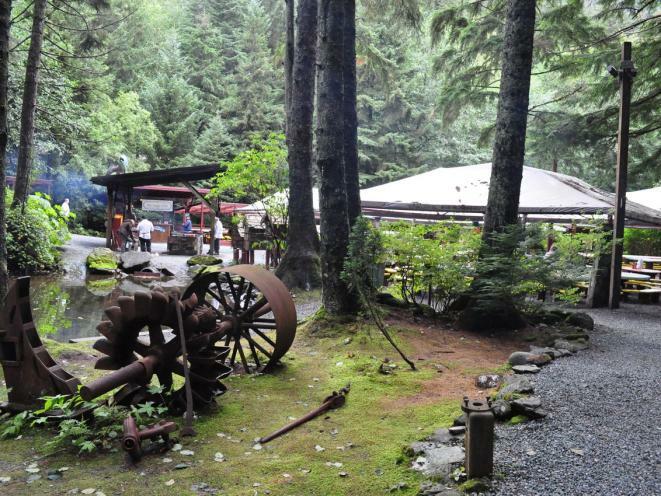 Perfect for both formal and casual events, The Gold Creek Salmon Bake features a spacious outdoor banquet area which is protected from the elements in a scenic and secluded environment. 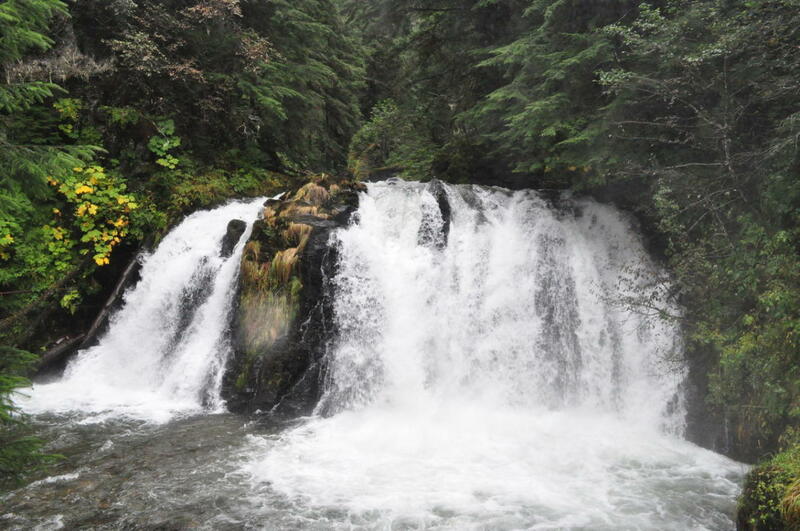 Tucked beneath a thick canopy of Spruce and Cedar and bordered by the historic Gold Creek and it's namesake waterfall, the Salmon Bake offers a location that is both rustic and professional while also being cozy and expansive. 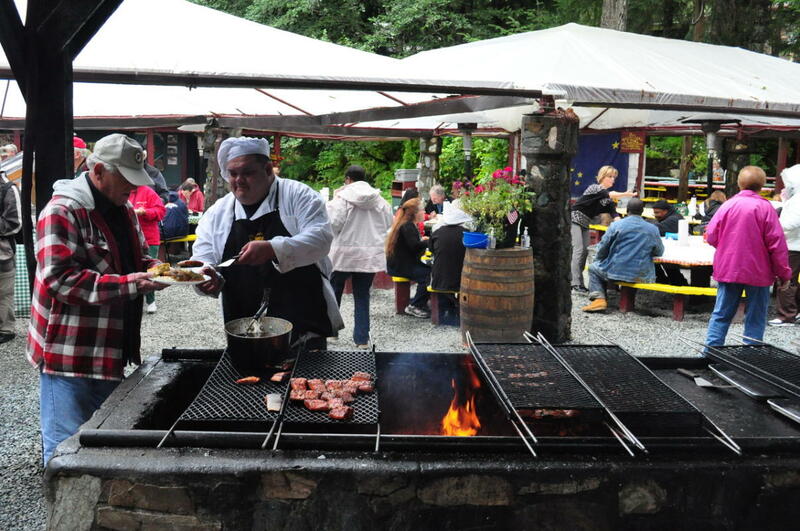 Our staff is available to help you personalize your event with live entertainment, shuttle service and menu planning.